Connect with the most powerful force in the Universe… LOVE! 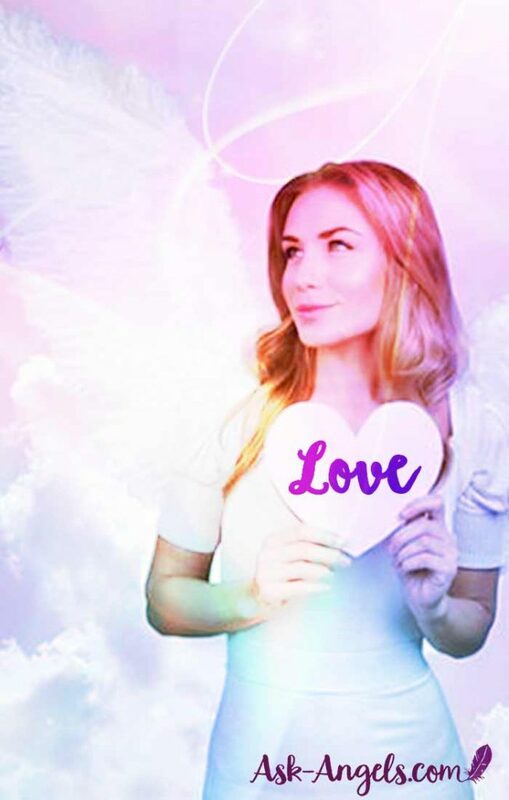 In this guided meditation channeled by Melanie Beckler you will be guided by the guides, angels, and ascended masters of divine love to nurture and rejuvenate your mind, body, and spirit with the power of love. Simply relax and breathe as you listen to gain full benefit from this powerful channeled message. You can also read this angel message which has been transcribed for you below. At this time, I ask that we be surrounded with the divine white light, with 100 thousand angels of healing, love, light and protection, and with each of our highest, best, most loving possible guides and angels of the light who can most serve. Please come in, lift us in vibration, help us to quiet our minds and open our hearts, to tune in to the love, guidance, healing and frequency available for us now. I now call upon the highest, best, most loving possible channeling guide who can most serve. Please come in, connect and channel through me now. Greetings, we are here—guides, angels and ascended masters of divine love. We connect with you now and invite you to breathe, relax and focus within. Know that you are surrounded with divine light, and uplifted in the vibration of love. You are energetically soothed, calmed and supported in taking this time for yourself now to simply breathe, relax and let go. Focus within. Open your heart. Focus on your breath and allow yourself to simply be, to simply breathe, to listen to these words, to quiet your mind, to open your heart and to relax. Imagine that light and love are all around you, nurturing you, soothing you energetically and helping you to relax right here and right now. There’s nowhere you need to be and nothing you need to do except to relax, breathe and be. Let your heart open and let your neck and shoulders relax. As you relax and breathe, you allow the love to enter in. Relax your face. Relax your arms. Relax your chest and abdomen. Relax your legs and hips. Relax your feet. Relax your entire body. Breathe and let go. Allow yourself to relax, knowing that when you do, you allow love into your energy, you allow love to flow throughout your being. Imagine that you’re breathing in the energy of divine love. Imagine that love is coursing throughout your entire being. Breathe in to any areas which you feel you could relax more deeply. Breathe in to any areas in your physical body in which you’re holding on to stress or tension. Breathe love in to these areas and let go. Let yourself relax and open your heart to now tune in to what it feels like to be immensely loved. For indeed, you are immensely loved by the Divine, by source, by all that is, by your team of guides, angels, loved ones and ascended masters who support you from beyond the physical, by many you have encountered in your life, and by many souls you have not yet, but you will. You are loved. Tune in to the feeling. Tune in to what it feels like to be immensely loved and let yourself find, within your open heart, the feeling of self-love, the energetic essence of loving and approving of yourself. Feel the vibration of self-love and allow the energy of self-love to flow throughout your being—the vibration of self-love which nourishes your body, your very cells—love which nurtures your mind, body and spirit totally and completely. Love from all, love from outside and love from within. Breathe in love. And as you exhale, feel love flowing throughout your being. As you open your heart from this inward focused place, let your awareness come to one thing you could do today to love yourself more. What’s one thing you could do to treat yourself with increased love? Know that when you take this step, whether it is big or small, the effect will be multiplied, a ripple will be created. Treating yourself with love allows love to carry on far beyond you to ripple out throughout the realm of all. Your one small action to love yourself more will not end with you, but will carry onward on a subtle and yet significant scale. Allow love to rise to the surface on earth in a way that will benefit all. And in a similar way, quiet your mind, open your heart, and let your awareness tune in to one thing you can do, one step you can take to help love on earth multiply. What’s one thing you can do in service of others, in service of life or earth or humanity that is in alignment with love? What’s the one thing you can do that’s in alignment with divine love, self-love and love for all? This small step or action will create a ripple, will empower love in another, and will align increased love on your path. Take this step and allow the blessings of love to flow forth. Small steps can have significant results. Such as in this moment. When you open your heart and tune in to the love within and all around you, you are illuminating the path before you; for love is the most powerful guide. Love will help to open doors before you where there were once only walls. Love will align you with your true soul’s purpose, with your authentic path, with your highest and greatest good. And so embrace love today and as often as you can. Return to love in this moment by opening your heart and becoming aware of, tuning in to, imagining, honoring, noticing, sharing and celebrating the love that is all around. Open your heart to love. Treat yourself with love. Let love pour forth from you so that you share love with others—with those whom you know and those whom you do not. The vibration of love multiplies when shared, creates a positive ripple when tuned in to, is infinite and unlimited in its power, and has the potential to completely transform, to positively alter, to heal, inspire and uplift earth, humanity, your life and the realm of all that is. Breathe in love. And as you exhale, let go of all that is not. Breathe in love. And as you exhale, lift in the vibration of love that is present here with you now—the vibration of love which you are able to overflow to bring blessings to all those whom you encounter. Breathe in love to infuse your mind, body and spirit with the divine healing, frequency, blessings, intuition, inspiration, and infinite possibility—all contained within the all-powerful, all-knowing, omnipotent potential that is contained within the vibrational essence of love. Carry love in your heart. Let your heart open. Share of it freely. Take your next step. Be love, live in love, return to love, and allow the blessings of love to flow forth in your life, in the lives of others, in the realm of all that is. You are loved. You are loved with love. And so, it is. Lovely meditation.. Thank you from all my heart!!! 😘 🌺🌸🌟🌼💮☀️💖!!! Thank you Melanie and be blessed greatly this week. Thank you, Melanie, for this beautiful meditation and all previous ones as beautiful as this one. GOD bless you!!! Thank you Melanie! Your videos are always a blessing. As Doreen said.I am also disabled & can get depressed. But I always ask spirit & all the Angels to help me. And they do. I read all your email,and try to listen to all your channeling guided meditations. I Also have some of your books. Im still struggling to relax and stop my mind. So as you advised me through your mth program I have bought. I just turn it on till it stops me to sit and listen.As when I lay or even sit, I sometimes still fall asleep. But My body is also very tired physically. I have to say out of all the emails Ive ever received. About Angeld and Spirit Guides. Yes, U have a Gift, And I Admire You Melanie. Thanks Angels, guides and masters for talking to so many of us through Melanie ! Thankyou Melanie. You are like my angel to me. Thank you for helping and guiding me. Thank you for giving me what I so needed today. I have a suggestion. I have 2 little boys that are in need of guided meditation. They are 9 & 10 years old. Since they are special needs I want to given them the peace that I have felt from your messages. What do you think? Are you ready to create loving messages for children that need your help and for parents that need relief from anger and outbursts. Again, Melanie your words are soothing, uplifting and loving. Thanks very much for your guidance. thankyou for your loving valentines message helps to open ones heart for those around us and for those we love have passed on to spirit which we think of every day with much love Diana England berks. Thank you so much Melanie you are wonderful and I would like to telling you how you help me to relax with your divine meditation. I love you and i feel so well after meditation with my angels and you. What a beautiful meditation!! Thank you!! I have been told to persue my soul purpose in giving and showing others love, unconditionally? The most relaxed feeling ever, takes you on a beautiful journey. Thank you so much for putting these meditations into transcript! I am profoundly deaf and can’t use the audio. I appreciate your thoughtfulness so much! Thanks Melanie, thank you guides and angels and ascended masters. Love you too. You are so wonderful!!!!! You’re downloads, videos and website are so very uplifting! I’m disabled and sometimes get depressed, but since I started connecting with the Angels and my Higher Being, I am so much happier! I’m positive about my future! I know I will find my soul mate! After years of loneliness after my divorce and having gone down the wrong path for awhile, my life is on an upward lift now! Thank you for reinforcing my changed life ways!